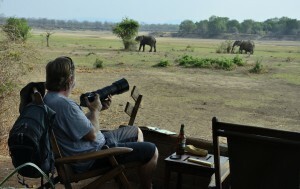 A big part of managing a safari-camp is answering questions that guests have. Are there snakes in all the chalets? The most difficult questions are the ones where the guests expect the manager to predict the future, tell them what to do with their money or to play doctor. 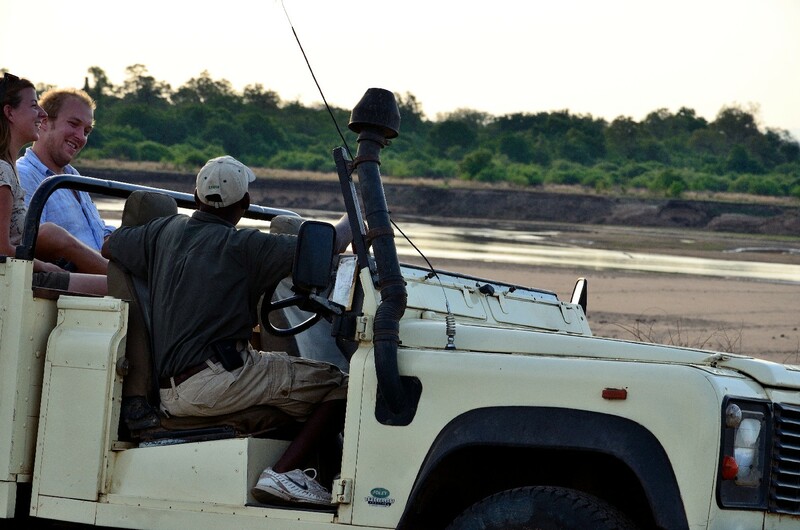 Here are some ready-made answers and tips to prepare you for your next safari. This is a commonly asked question, and also a valid one but before I go any further with this paragraph, I’d like to highlight a couple of words in the Wikipedia definition of tipping: an overpayment made as a recognition to those who provide service beyond the expectation. So, to tip or not to tip is something you’ll have to figure out for yourself but I can give some guidelines on other appropriate tipping etiquette in the safari industry. 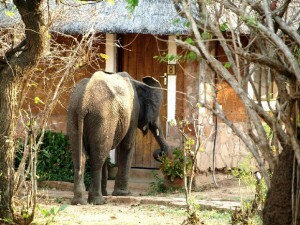 At Wildlife Camp, as with most other camps, we have a tip-box at the reception. Money from that tip-box is distributed evenly among all our staff. Guests usually leave some money in the box the day of departure. The barman that served you a cold Mosi, the housekeeper that made your bed, the chef that prepared your dinner, the mechanic that fixed your game-viewer and the watchman that made sure you slept safely at night all get their share from this tip-box. Guides often do not work alone. 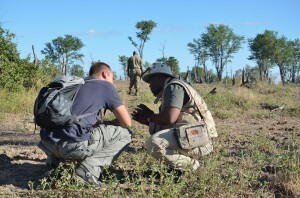 Whether it’s an armed scout on the walking safari or a spotter on a night safari, they often need people to help them. You can either tip these guys separately, or if you prefer to do one tip for them all, make sure to tell the guide that the money must be distributed among him and all his helpers. Don’t tip guides depending on sightings. Tip in either US$ or Zambian Kwacha, but understand the exchange rate before you tip. What are my chances of seeing a …? Very difficult question to answer as each game-drive is different. Because they are so rare, the big cats are often enquired about and rightly so – they are magnificent beasts But their lives depend on not being seen by their preferred prey so posing for tourists is not something they do regularly. South Luangwa National Park has a healthy population of big cats. It’s probably one of the best places in Africa to see the elusive leopard and a popular British newspaper recently ranked it as the best park in Africa to see lion in the wild! Is it a Zoo? 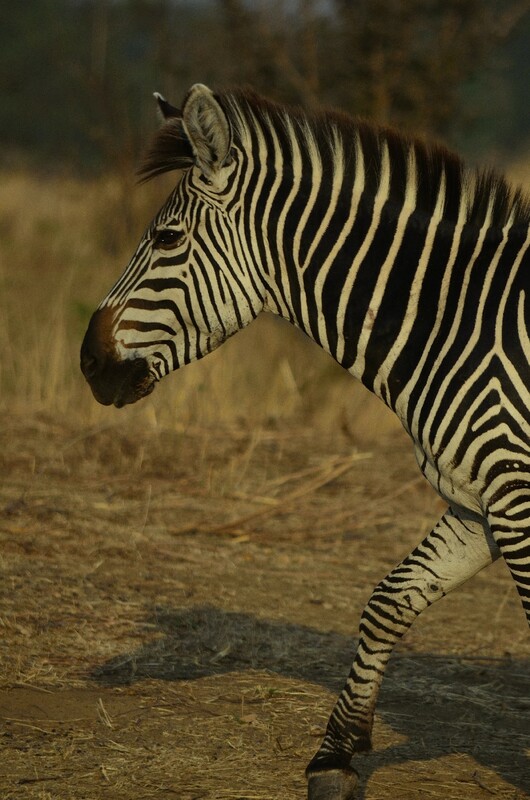 Yes – South Luangwa National Park is an unfenced zoo 9052km² big with thick riverine forest, savannah grassland and open woodlands for the animals to hide in. The animals are allowed to kill and eat each other but there are no official feeding times for visitor to flock to. Only African species can be found here and please remember that tigers occur in Asia. Here are some tips as to what to expect. It’s still a stab in the dark and will vary from season to season. Impala, puku, bushbuck, warthogs, zebra, giraffe and elephant are common here in South Luanwga National Park and you can expect to them on almost every game-drive. 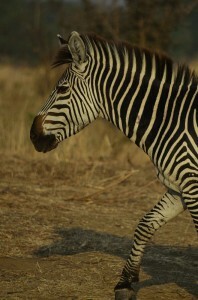 Buffalo, hyena, lion, leopard are more difficult to find and you’ll have to put in long hours to see them. If after 4 safaris you have not yet seen even the spotted tail of a leopard I’ll tell you you’re a little unlucky. 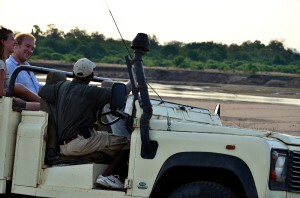 Wild-dog sightings have been good this year but even then our guides will see them once or twice a month. Then there are the aardvarks, bushpigs and pangolins which might take a guide years to get his first sighting so if you get to see one of these you can consider yourself very lucky. And that’s just the mammals. The same principles apply to birding (or reptiles or plants) but those are beyond the scope of this newsletter. So, without any further ado, here are three health tips to consider when coming on safari. Consult a travel doctor before you fly. South Luangwa is a malaria area but getting hold of preventative medication before you come is very easy. The doctor will put your mind at ease about Ebola, sleeping sickness, dengue fever and all the other things we often hear about in the news. The best thing you can do to stay healthy is to drink lots of water, stay out of the sun during the middle of the day and breathe in the fresh Luangwa Valley air. Between all the camps here we do always have a fully qualified doctor on stand-by in case of emergencies so if the red dot on your toe turns into green lump overnight we can always call in an expert.